Baumstein, an athlete from Orlando, Florida, waited for weeks to set out in her custom-designed rowboat from Choshi, a Japanese port east of Tokyo, headed for San Francisco. 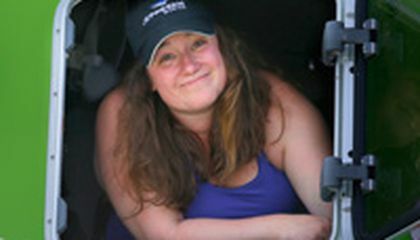 With a few last-minute adjustments to her supplies and a brief call to her parents, she rowed out of the marina June 7, a tiny sliver on the glittering horizon, hoping to finish the 6,000-mile journey by late September and become the first woman to row solo across the Pacific. Baumstein's rowboat, the "Icha," short for an Okinawan phrase meaning "once we meet we're family," is a lime-green, 23-foot vessel that weighs less than 660 pounds and has no motor or sail. When the weather allows, she plans to row 14-16 hours a day, breaking her sleep to check her location. She hopes to stay within the 62-mile-wide Kuroshio current that arcs across the Pacific, at least for the first part of the journey. Andrew Cull, founder of Remote Medical International, which provides medical training and equipment to hard-to-reach places, says he believes she has the physical, emotional and mental strength to pull off the adventure, despite the potentially perilous weather and conditions of the North Pacific. "What's gotten her across oceans and to this point is sheer drive and willpower," said Cull, a sponsor who trained Baumstein for the paddle-board feat. I think that Sonya Baumstein is making a brave choice. She is the first woman to sale alone across the Pacific Ocean. That is a long journey. I think that Sonya is trying very hard and is doing her best. She has talked about the hardships and the obstacles in her journey but she still made it. I think that Sonya is making a very big difference and inspiring some people to do their best. The people might have been amazed that a woman is setting out to row across the Pacific Ocean without having a sail or a motor which would be a big challenge for her to be completing during her journey. 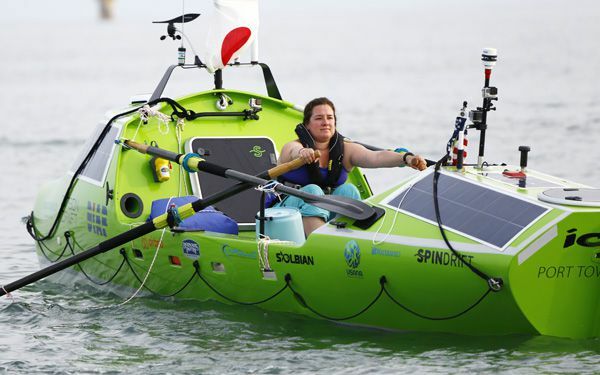 The woman might have been making out the journey to be rowing across the Pacific Ocean and still rowing through the night and then rests which would be a big challenge for a woman to be doing. The challenge of rowing across the Pacific Ocean is that she would get splashed by a lot of the water from the ocean that she is crossing which is a worst part of her experience. People might have been able to get amazed that a woman can be able to row all by herself across the Pacific Ocean which someday that woman can be able to do advanced things. Critical Thinking Question: Why does Sonya want to stay within the 62-mile-wide Kuroshio current? Answer: Sonya wanted to stay within the 62-mile-wide current because it would give her a boost to reach North America from Japan.